LR/Enfuse is a Lightroom plugin that allows you to blend multiple exposures together directly from within Lightroom by using the open source Enfuse application. 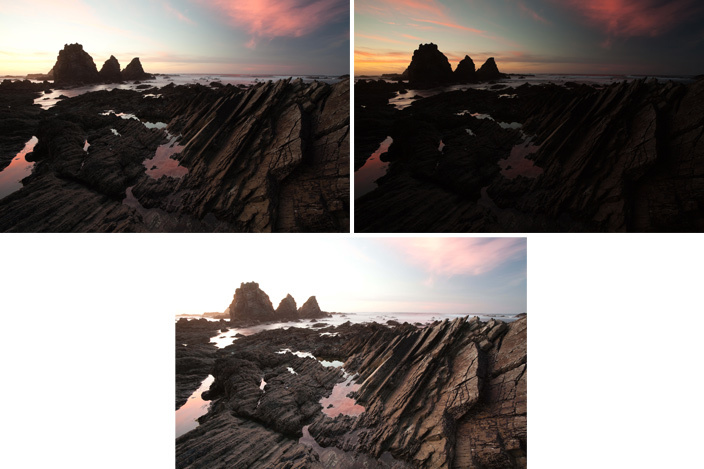 Blend images of different exposures together in order to create a natural looking image with a greater dynamic range. Blend a series of images where the focus point is difference in order to create an image with a greater depth of field - this is a common approach when creating a macro image. Blend a series of images for night photography image stacking in order to create an image with a longer exposure than is possible with a single frame. 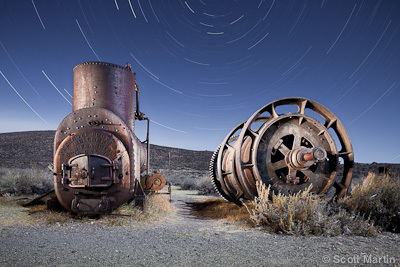 Images with long star trails require very long exposures, however the ambient light of a scene is often intense enough to limit the exposure to something much shorter. The sky and foreground thus often require two radically different exposures. The solution to this dilema is image stacking! Image staking allows you to take a lot of shorter exposures and combine them for a longer total exposure time with star trails. With LR/Enfuse, simply select the images that need blending together and choose "Blend exposures using LR/Enfuse..." from the 'Plug-in Extras' menu. Wayne Grundy compares LR/Enfuse to other solutions. 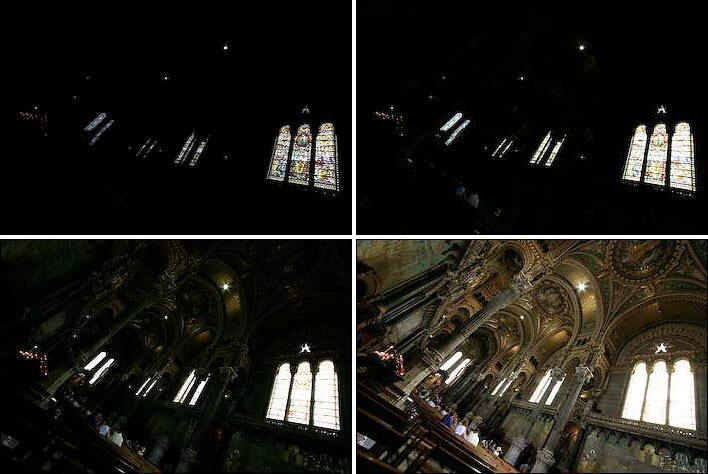 These four images of the Basilique of Lyon (France) were taken on a tripod, using different shutter speeds to vary the exposure. 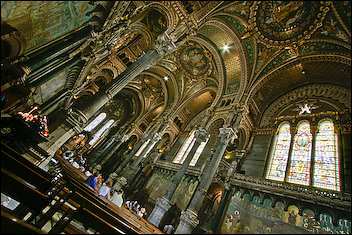 The darkest image is correctly exposed for the stained glass window, and the lightest is exposed for the interior of the church. It would be ideal if we had an even lighter image, but we can sort this our in Lightroom later. 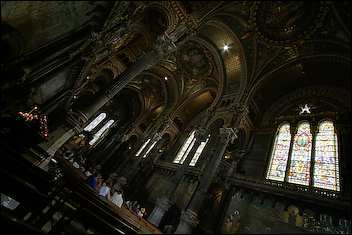 The images were selected in Lightroom, and LR/Enfuse was run from the file menu with the default settings. The result is a very natural looking blending of the images. It's slightly dark because our lightest image was still a little underexposed for the shadows. Finally, the image is re-imported into Lightroom and a little fill-light applied. Real Estate Photographyer Simon Maxwell has released a 145 page book on getting the best from LR/Enfuse. I highly recommend it. Photographer José Fernández took these three images that together captured the dynamic range of this beautiful landscape. The images were selected in Lightroom, and LR/Enfuse was run from the file menu with the default settings to create a very natural looking blend of the images from which José could then create the final look he was after. 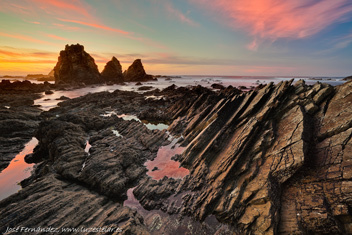 You can see more of José's Enfused landscape images on our blog. Scott Martin from Onsight kindly provided us with this example of blended star trails. Four photos from the sequence are shown here, the first of which was light-painted. The above images (amongst others) were selected in Lightroom, and LR/Enfuse was run to create a blended image. 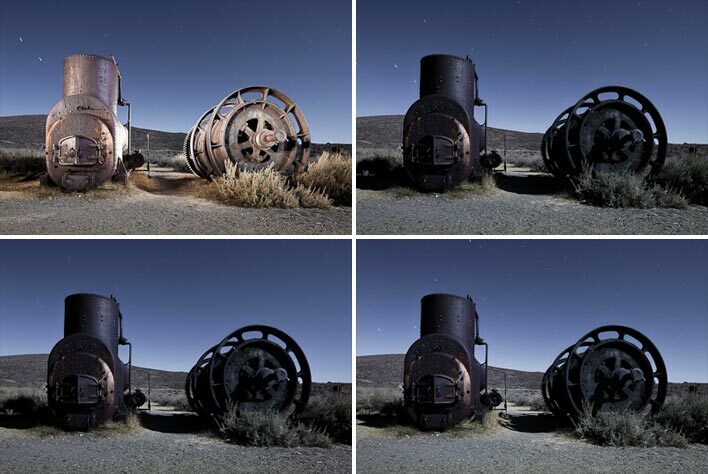 You can read more about the making of these images in Lance Keimig and Scott Martin's new Night Photography book. Scott and Lance also teach star trail image stacking technique with LR/Enfuse at their week-long night photography workshops. The trial version limits the output size to 500px, and donating towards this project will give you a registration code that will remove this restriction. All future updates are free.